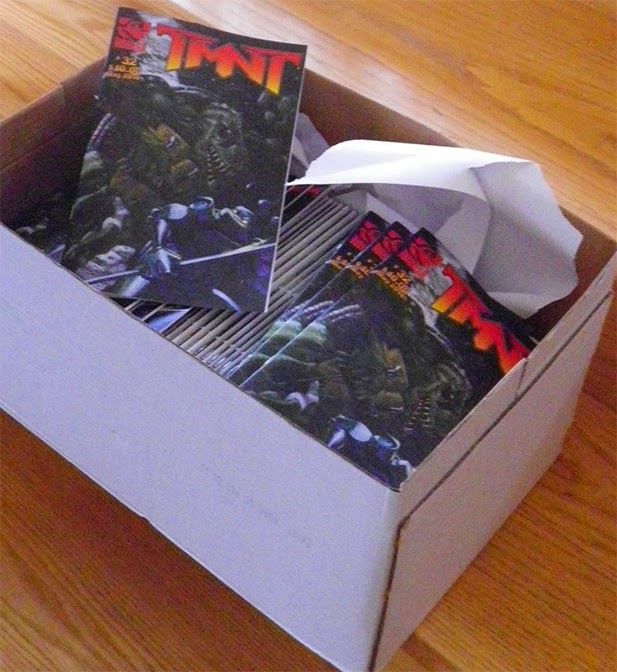 Just in time for Free Comic Book Day, Peter Laird has competed and printed TMNT Vol. 4, #32. You can read the announcement on Peter's blog. Details of how exactly the issue will be sold haven't yet been made available, but they are expected to be at the Jetpack Comics signing on May 3rd, and the Shellback Artworks signing on May 4th. Online sales should be available shortly after these events. Information will be posted as soon as it is available. TMNT Vol. 4, #31 has been previously released online, but was never printed. Peter has now stated that the issue will likely be printed in the upcoming months.